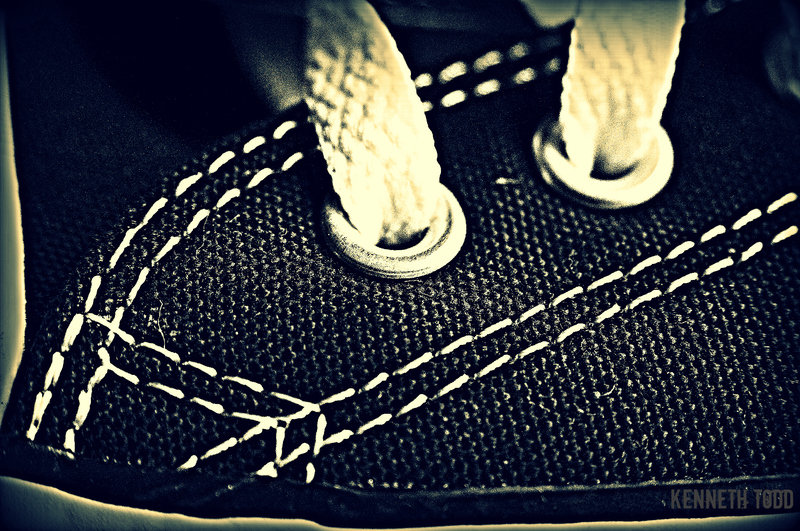 Why have I taken a picture of my sneaker (to others – a trainer or takkie)? I don’t know why. Because I can? I just wanted to try it and seem as though I have to take 366 photos this year, I might as well try. I am inching to the halfway mark and this last month has been a little trickier for me. I am not running out of ideas, just I have been consumed by other work, so don’t always have the time to too much, write posts with meaning as I like to do or visit all the blogs I want to. So anyways, here is a part of my sneaker! Converse if you must know. Enjoy your day / evening. Whilst we are on the subject of shoes. Remember this. Make your first step right now! Don’t wait. I remember advice I was given:”start close then move back”.